Click here for a quick video tutorial on getting started with SlantView! 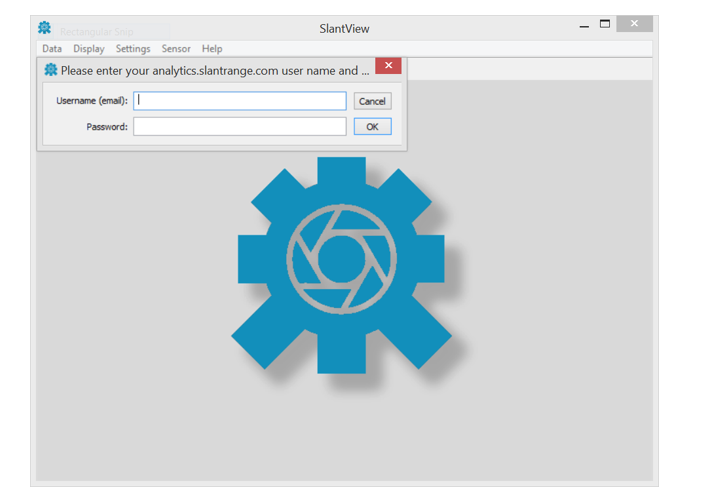 SlantView, available for download at: http://analytics.slantrange.com, is your software tool for processing and viewing data gathered from your SLANTRANGE system. After a flight, connect your sensor to a computer via Ethernet cable (1p, 2i, and 2p) and use SlantView to download and view the data in minutes. If using a 3p, just pull the memord card, copy the files to your hard drive, and begin processing. No high-speed wireless data connection or cloud processing required! To install SlantView, register at analytics.slantrange.com as shown in the top of the Figure. After entering your information, click the Download SlantView box. After downloading, open the “SlantView_Install” file in the downloads folder, and navigate through the install prompts. After successful installation, the SlantView Map Window will open next to an account information window, as seen in the Figure. 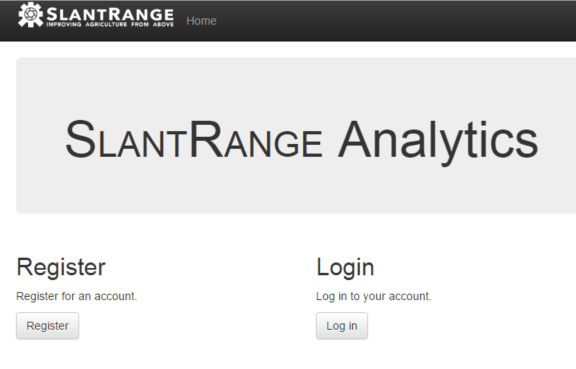 Enter the same username and password you used to login at analytics.slantrange.com.